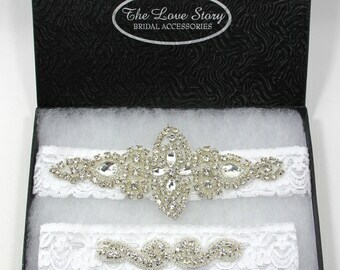 Customizable Garters, Evening Bags, Jewelry & More! LIKE OUR FACEBOOK PAGE TO RECEIVE 20% OFF YOUR FIRST PURCHASE! MESSAGE US (BEFORE PURCHASE) THAT YOU LIKED OUR PAGE TO GET CODE! 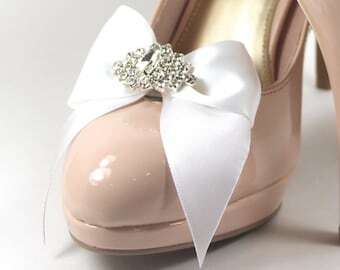 Create your own custom accessories! 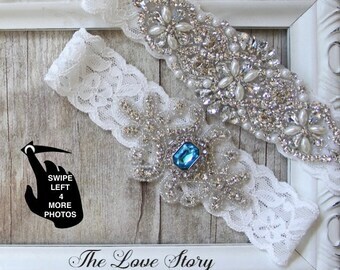 ~ SEVERAL NEW LACE, BOW, FEATHER & GEMSTONE COLORS AVAILABLE! 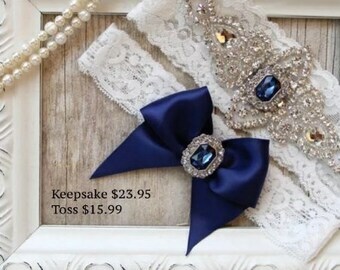 Customizable accessories for every special occasion! 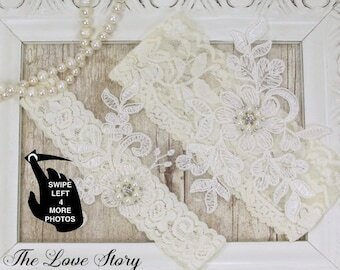 We specialize in creating exquisite customizable garters, ring pillows, bridal sashes, jewelry, bouquets, flower girl baskets etc. at very affordable prices. We use only the finest Swarovski & Austrian Crystals, Freshwater Pearls, Pave' Crystals, Ostrich Feathers and Luxurious Fabrics to offer the very best quality accessories for our customers! Gift orders are also available (upon request) and come complete with beautiful complimentary keepsake boxes, gift wrapping and a lovely personalized gift card! All of our accessories are personally inspected by us to ensure that you receive quality merchandise. 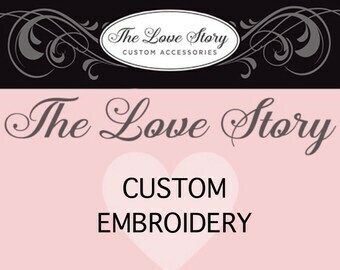 Send us a convo to create your very own custom creation! We are always here for you! FOLLOW US on Twitter to be the first to see what's new! 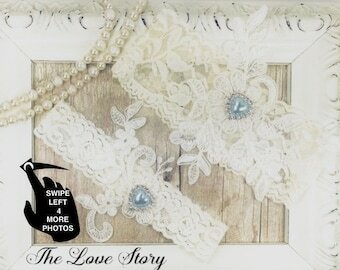 GET INSPIRED by The Love Story on PINTREST! Headband, Baby headbands, custom headband, flapper style headband, Prom headband, Easter Headband, baby girl headband. They are beautiful! Just like the picture. I showed them to my future Mother in Law and she thought they were perfect as well! We now have the ability to dye any Lace and/or Feather color from the comfort of our beautiful new "kitchenette." 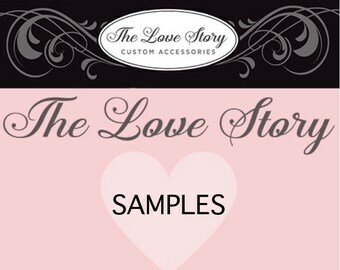 The Love Story Boutique was created out of love for my mother in May 2012. In 1977 my mom became a single mom raising me (Tamara), her only child, with little to sometimes no money. I remember her singing to me, "You & Me against the world" by Helen Reddy. My mom taught me very important life lessons. Some of them included: In order to be successful you have to fight for what you want, work hard pays off and most importantly do unto others as you would want them to do to you. She led by example! Times weren't always easy but one thing we always had more than enough of was LOVE. In 2012 my mom had been laid off and found herself struggling once again. Even through the hardest times, my mom (Mary) has always helped me whenever I've struggled and now I was privileged to give back. I started looking for ways that she could make extra money selling her knitted scarves and blankets (which she had been knitting for charity) and that's when I came across ETSY. I quickly realized that ETSY had so much to offer and suggested that together we could create a wonderful online boutique and make a full time business out of it. Throughout our lives we have both owned and run several successful small business'. We love beautiful things, which is why we strive to offer the most beautiful custom accessories made with only the finest materials! We won't sell something that we don't absolutely love. We also believe in treating others as we want to be treated which is why our customer service is second to none. Unfortunately, at the end of 2015, history repeated itself and I (Tamara) also became a struggling single mother with an only child. 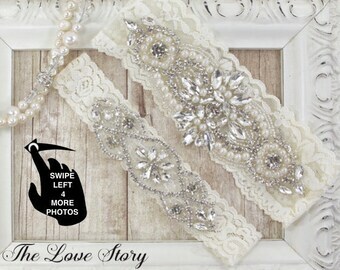 This was the hardest time of my life yet ironically, The Love Story boutique was able to help heal my broken heart. Since I was once again living with my mom, after she would wipe away my tears, she would tell me to kick myself in my shins (like she used to) and through myself into my work. So, I decided to pour my heart and soul into The Love Story! In November 2017 I was in a freak accident that almost took my life. I ended up having to have emergency brain surgery. It was a very dark time for me, but my incredible mom never once gave up hope! She not only took care of me but she continued to keep The Love Story alive all by herself. She always has been and always will be my hero & my rock! She not only saved my life but she gave it back to me by literally holding my hand every step of the way! Thanks to God and my wonderful mom, I am doing much better now. As we get older, I am driven now more than ever to pay her back for everything she has done for me. My goal is for The Love Story to be our Legacy. The Love Story is more than just an online boutique, it's an expression of unconditional love between a mother and her daughter! We are truly blessed to be best friends, designers, and business partners of a successful online boutique who absolutely love what we do. And, the best part is.... we are doing it together! I cannot "Thank You" enough for allowing us to be a small part of your love story. Hi, I'm Mary (Tamara's mom). 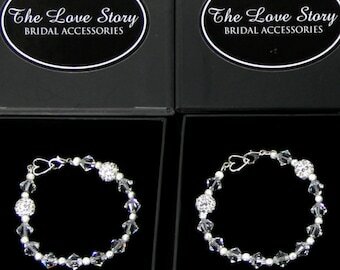 The Love Story is more than an accessories shop. It's a way to memorialize special moments in your life and we cannot thank you enough for allowing us to create something beautiful for you or your loved one. Hi! I'm Tamara (Mary's daughter). The Love Story was created out of love for my mom. She's amazing and I owe all that I am to her. We are so blessed to be able to work togerher and are truly honored to be a part of your love story. Thank you! 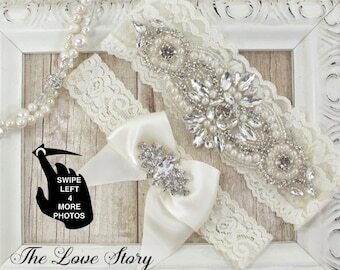 Welcome to The Love Story! We would like to congratulate you on your upcoming special occasion. This will be one of the most memorable days in your life and we would be honored to be a part of it. Look around and let us know if you have any questions. All of our items should give you an excellent idea of what you are purchasing. The colors in all of the photographs are specifically edited to show you the true color so there are no surprises! We take pride in our craftsmanship and want you to be completely satisfied. We are a mother/daughter team and absolutely love what we do! We use the finest quality materials and make sure that each item is carefully inspected before leaving our hands.